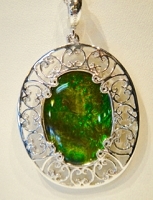 Each Ammolite Jewellery set in sterling silver is guaranteed to be a minimum of A to AA quality. 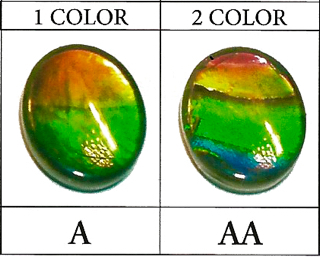 * Please note that each ammolite gem displays a unique kaleidoscope of color, texture, brilliance and pattern; no two pieces are identical. © 2013 Timberwolf Rocky Mountain Emporium Ltd. All rights reserved.